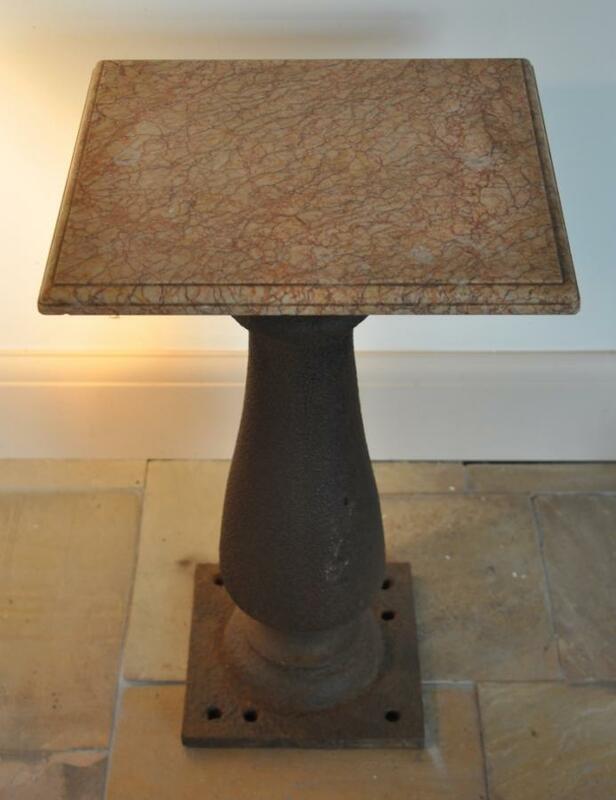 A victorian cast iron and marble occasional table. 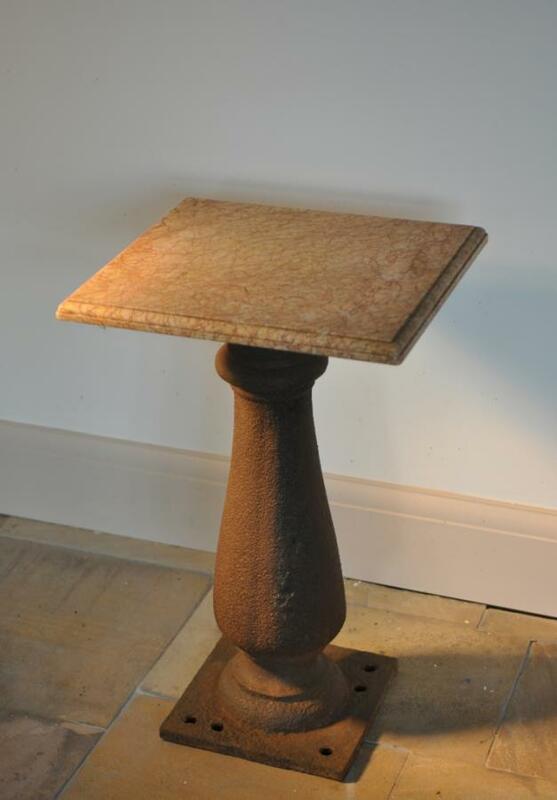 A marriage from similar periods with a cast iron baluster base and a richly veined moulded marble top , possibly a variety of sienna. 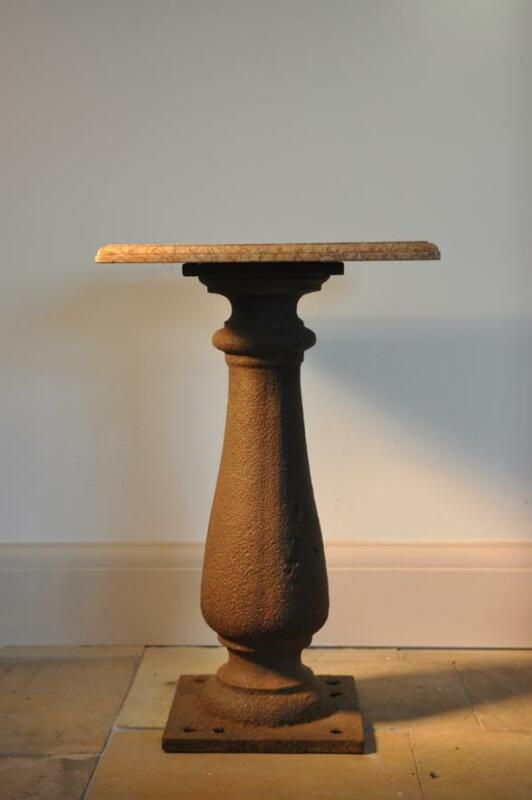 Dimensions in inches/cms; Cast iron base is 10.5/26.5 by 10/25.5. 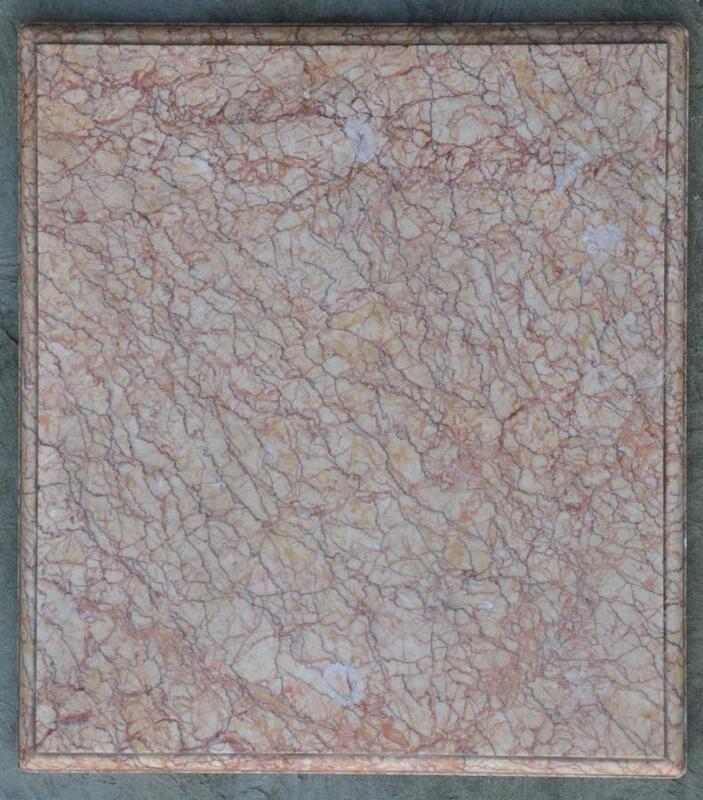 The marble top is 16.5/42 by 15/38 by approx 7/8 inches Overall height is 26/66.